Ambu has a long history in the production and selling of quality masks for use both within the hospital and pre-hospital. All Ambu face masks are compatible with the different models and sizes of our resuscitators. There are several options for choosing the correct facial mask according to the needs of the user and the patient. We have a fully transparent, reusable and disposable version of the classic blue silicone masks. The masks are typically used to support ventilation during the preparation of anaesthesia of the patient for the operation. The Ambu face masks meet all-important features that users need, providing an airtight seal with minimal applied pressure. The mask is transparent for visual inspection of bleeding, vomiting and spontaneous breathing. 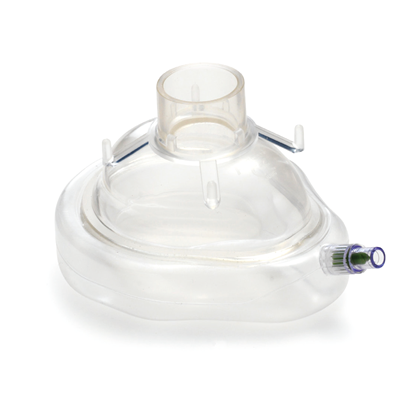 The design and the shape of the cap is assured to support user manipulation during long-term ventilation. All our masks conform to the ISO rules relation to the size of the connections, and are compatible with all models of ventilation balloons on the market. They have always been a great addition to the already existing Ambu resuscitators. Quality, effectiveness and comfort is recognised by all users. Ambu has expanded with the acquisition of King Systems. Ambu King Masks are designed for comfort and safety, and are "The leading mask design”. 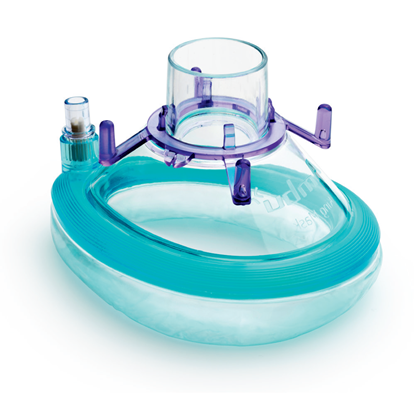 The edge is extremely flexible and feels sticky for excellent seal on the patient. These masks are superior in all shapes and sizes.